I am a hoarder. Since we moved last August I have been trying to clean out one box, closet, something every month and I just did a HUGE closet clean out. 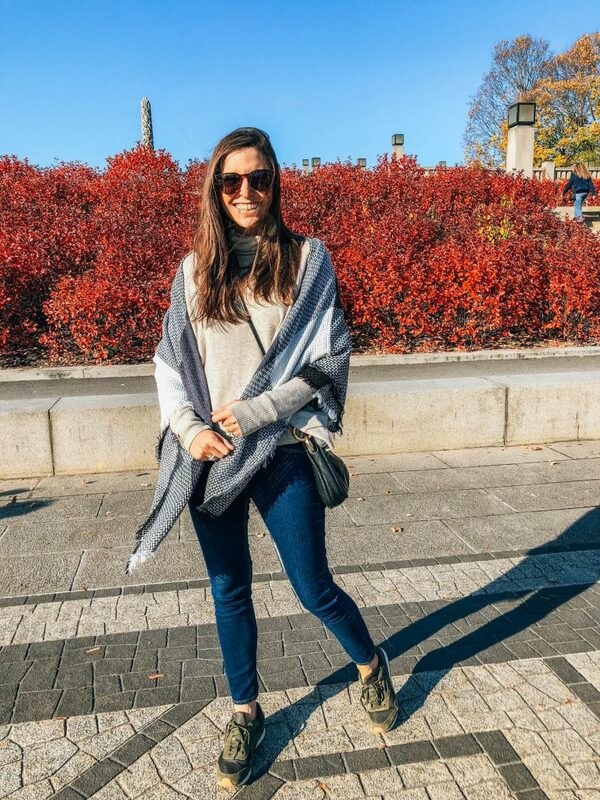 I use Thread Up, Tradsey and Poshmark to sell my clothes so I wanted to share all the new items I just added. After years of weddings, I have so many cocktails dresses that either doesn’t fit or well just haven’t warned in a while so it’s out with the old and in with the new! You can also shop loads of your favorite blogger’s closets from this Pinterest Board! 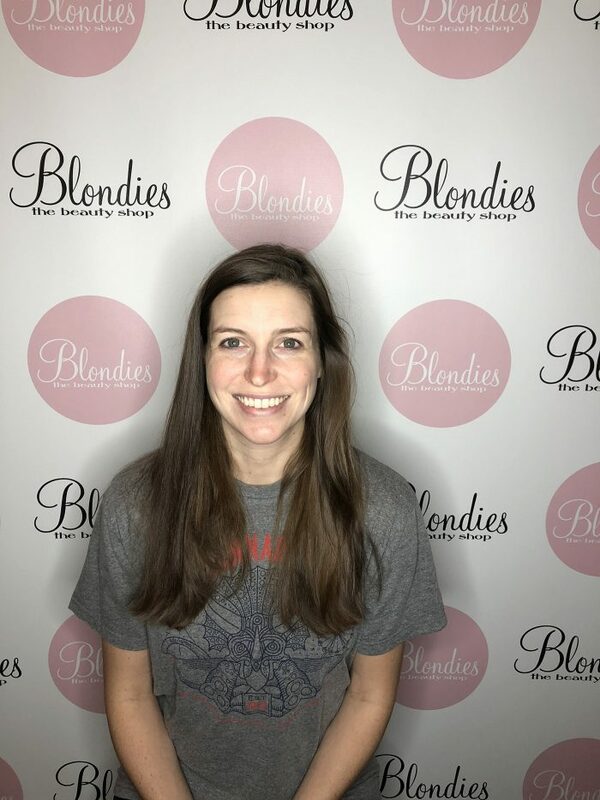 Blondies The Beauty Shop reached out about a complimentary facial and blowout and I was stoked… for the blowout. A facial? Meh… However, it was actually perfect timing. I have been loving my Pangea Organics and been breakout free for months until lots of traveling and overindulging over the holidays had brought to life this huge bump on the side of my nose. Not a pimple a bump! The ones that really hurt. So I decided it was finally time so I booked an appointment and I am so happy I did it. Stephanie was my asteticious and she practices what she preaches her skin is flawless. I let her know up front it had been years since my last facial so I was open to any treatment and I wanted to learn everything! Lucky for me, all of Stephanie facials are custom to her client. She first washes your face then examins your skin and ask questions about your current skin care regimen any medical history and then decides on a plan of action. Stephanie suggests we start with Dermaplane, and well Dermaplane is my new bestie. Dermaplane is a manual exfoliation technique where the aesthetician scrapes the skin with a medical grade knife removing all of the dead skin and little hairs all over your face. The pic below is my dead skin – so gross – but oh so satisfying. Why? Your skin needs a good shed! After Dermaplane your skin is more receptive to all the products you put on your face plus its smooths you out for all the make up your going to put on. The past two years have been major hair struggles. I love my hair, honestly – no shame, my hair is beautiful and healthy! I have fine hair that is really thick that when styled stays for days. My curls seriously last forever (probably due to the dry Colorado air) but anyway I can make it look really good. About two years ago, my hair well it just turned gross. 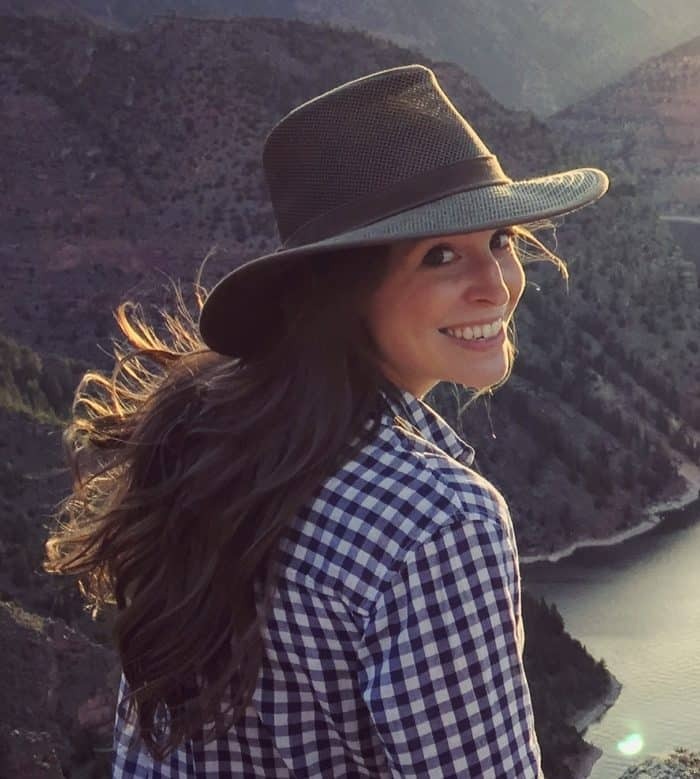 For the TL:DR version skip to the bottom where I rave about Monat and how it has brought my hair back to life! My junior year of college I discovered dry shampoo, I had been working with baby powder for a while but a bestie introduced me to Oscar Blandi Pronto Powder Dry Shampoo and I was addicted. I could go days without washing my hair and even a few days before needing the dry shampoo. I seriously only washed my hair 2x a week it was G-L-O-R-I-O-U-S! This lasted until about two years ago and out of nowhere, my hair became constantly oily. I tried switching up products and nothing worked. I could shower at night, wake up go to work and have greasy hair by the end of the day! While the greasy hair was annoying what was more annoying was the giant containers of Herbel Essence I had. Their Volumizing Shampoo and Conditioner had been my go-to for like 10 years and I still had a lot left in the bottle! I hate paying for new products when I already had some. Enough was enough, I decided to try Living Proof. I had seen this shampoo everywhere and after reading great reviews, I pulled the trigger on what I thought would be my cure. A few months later I confessed on my facebook page that Living Proof was not helping and I needed to try something else. A number of girls mentioned Monat, which I had never heard of. I added Monat and a few others to my list of “shampoos to try after you finish your current one”. During my shopping spree at the Sephora VIB sale, I came across DryBar On the Rox Clarifying Shampoo. Hmmm, a charcoal clarifying shampoo, that promised to deep clean my hair, removing build-up from cheap shampoos, dead skin, etc?! The reviews were glowing – I had to have it! So I pulled the trigger on a new shampoo and conditioner after swearing not to buy any until my current expensive Living Proof was out. But this was different! I would only use it weekly then use my Living Proof on the other washes! Well, that stuff really cleans your hair! Honestly, it leaves my hair a little too dry but it is super squeaky clean. After my first wash, my hair wasn’t greasy for two days YAY! I switched back to that Living Proof and the next day my hair was again a greasy mop. WTF. I couldn’t use the DryBar shampoo daily and the Living Proof was giving me gross hair! I resolved to try another shampoo when I was done with Living Proof (seriously cheap over here haha). Skip forward to mid-December and I receive an email from a Monat rep. Honestly, I barely read the email before I replied saying “YES HELP ME!!!”! 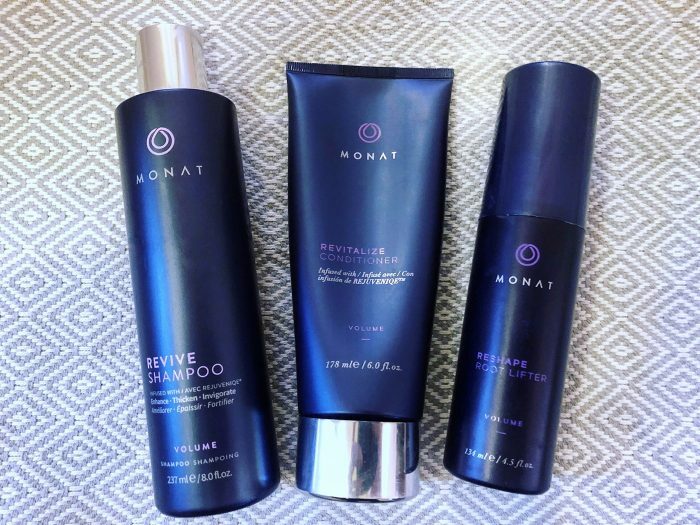 Within a week a package from Monat arrived with the Monat Revive Shampoo and Conditioner. The package also came with a note and follow-up email with explicit instructions on how to wash my hair, stressing the importance of rinsing and repeating.